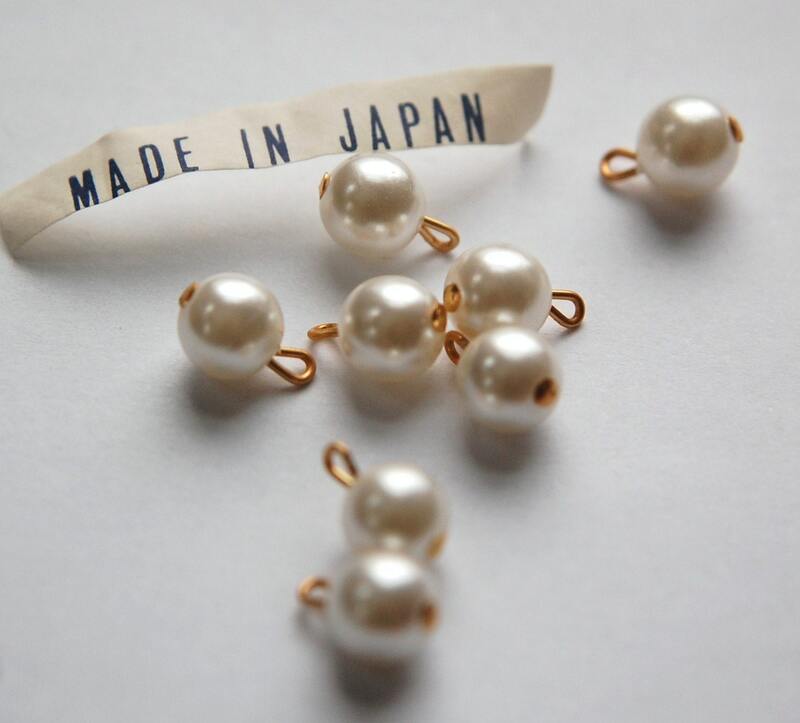 These are vintage faux White pearl beads with an attached gold loop. These were made in Japan. The bead measures 8mm. You will receive 8 of these. Good Seller! Good parts! Thank You. nice white pearls. quick shipping. thank you! received items very quickly! 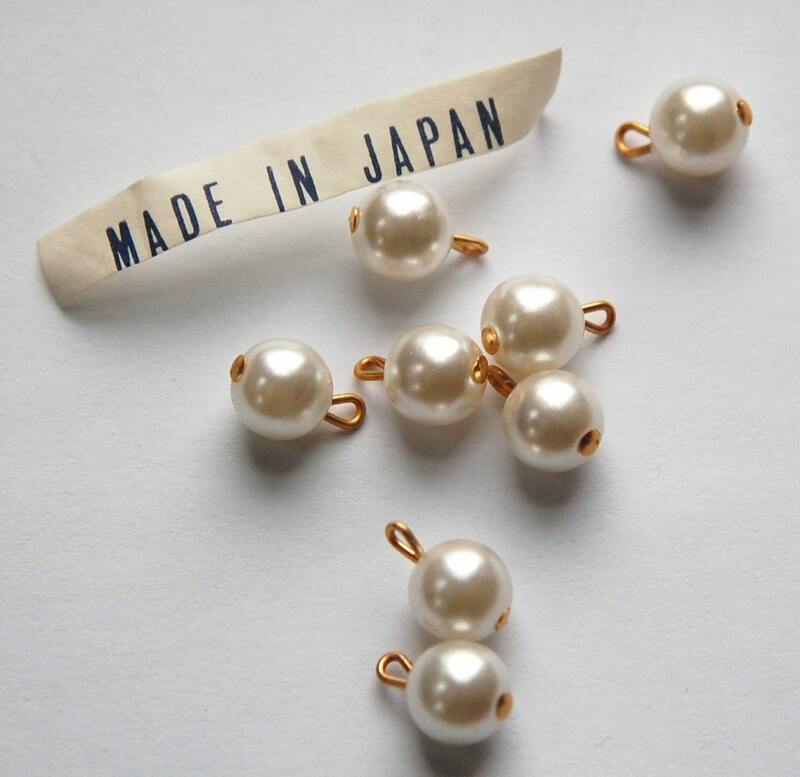 Nice quality pearl drops, handy to keep around for jewelry projects.